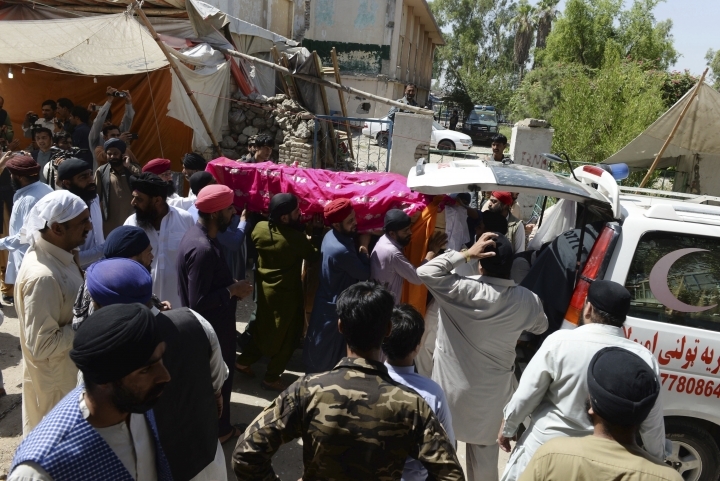 KABUL, Afghanistan — The Islamic State group on Monday claimed responsibility for a suicide bombing in eastern Afghanistan that killed at least 19 people, mostly Sikhs and Hindus. In a statement released Monday, IS said it had targeted a group of "polytheists." 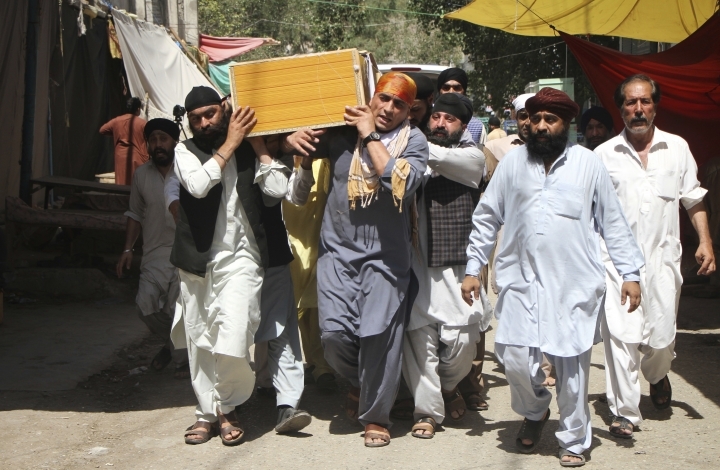 The U.N. Security Council condemned the Jalalabad attack "in the strongest terms" and underlined the need to bring the perpetrators, organizers, financiers and sponsors "of these reprehensible acts of terrorism" to justice. A council statement on Monday urged all countries to cooperate with Afghan authorities in finding those responsible. U.N. Secretary-General Antonio Guterres also condemned the Jalalabad attack stressing that "any attack deliberately targeting civilians is unjustifiable and in clear violation of international law," U.N. deputy spokesman Farhan Haq said. "The United Nations stands with the people and government of Afghanistan as they strive for peace and reconciliation for their country," Haq said Monday. Earlier, the U.N. mission to Afghanistan condemned the attack in a statement, saying "the architects of this appalling crime must be brought to justice." The U.N. also condemned an attack late Saturday in which militants killed three night watchmen outside a school and beheaded two of them before torching the building. That attack was also claimed by the Islamic State group.